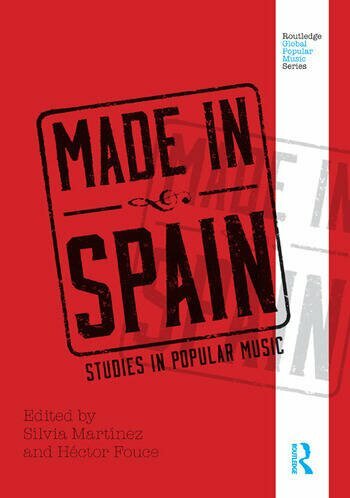 Made in Spain: Studies in Popular Music will serve as a comprehensive and rigorous introduction to the history, sociology and musicology of 20th century Spanish popular music. The volume will consist of 16 essays by leading scholars of Spanish music and will cover the major figures, styles and social contexts of pop music in Spain. Although all the contributors are Spanish, the essays will be expressly written for an international English-speaking audience. No knowledge of Spanish music or culture will be assumed. Each section will feature a brief introduction by the volume editors, while each essay will provide adequate context so readers understand why the figure or genre under discussion is of lasting significance to Spanish popular music. The book first presents a general description of the history and background of popular music, followed by essays organized into thematic sections. Sílvia Martínez is Head of the Musicology Department at the Escola Superior de Música de Catalunya and Assistant Professor of Popular Music at the Universitat Autònoma de Barcelona. Héctor Fouce teaches Communications at Complutense University in Madrid and Popular Music at UOC (Universitat Oberta de Catalunya). "... this collection reminds us of how much can be learned from what are often situated as the margins.... The idea of 'nation' is thus under challenge from within and without, as these essays insightfully disclose. The collection is not only a selection of case studies on internal heterogeneity, but also on Spain’s response to musical globalisation."